Pre-revolutionary France not only was a monarchy, but also was built upon a highly unjust social structure, with the first two estates getting special privileges while the third estate did all the work. When King Louis XVI refused to make changes in favor of the third estate, even though their requests were reasonable, the people of France were enraged. So much so in fact, that a few years later on January 21st, 1793, they sentences him to death. Soon, the entire country was undergoing a radical change. The government was overthrown, churches were looted, and they killed anyone who dared go against the new system. 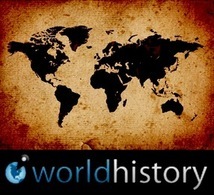 It was most commonly known as the Reign on Terror -- a time of death and destruction. Cities which denied the authority of the National Convention were burnt down, the people put on carriages and drowned. The anger of working hard every day to survive, all the while watching the first and second estates parade around in their fancy gowns fueled the French citizens to put an end to the previous system. It was an excruciating, stressful, and long transition, but in the end France was able to emerge with a newly built society and government. Now, fast forward a few hundred years to 2010, when instead of an absolute monarch we have a democracy, to ensure power doesn't simply lie in the hands of a single ruler. when the currently-in-power political party first won the elections in Hungary. Using lies and deceit, they won a majority vote (gaining 2/3s of the seats in the Parliament) filling the minds of Hungarians with empty promises of a better life. Less taxes, better healthcare? Vote for me, and you've got it! Unfortunately, the people of Hungary walked straight into the trap. A majority vote means that, should the leading party decide to create a new law, they are free to enforce it without the consent of anyone else in the Parliament. This lead to a series of nearly 200 new laws (all of which were ridiculous) and an entirely new constitution (with 2000 additional amendments) in the span of roughly 4 years. This constitution basically transformed out democracy into a veiled monarchy, putting all the power into their hands, and removing all checks on the government. - You can't work on Sundays! All stores must be closed -- except for those owned by our dear prime minister, of course -- "so families can be together!" Aww. Right? Well, most Hungarians would like to know how families who are starving because the parents lost their Sunday jobs should be together, when they don't even have a home anymore. So, since the 1600s Europe has grown. We have created democracies, giving power to the people. However, in Hungary, it feels like lately we have just gone back to the past; back to monarchies and unjust systems. 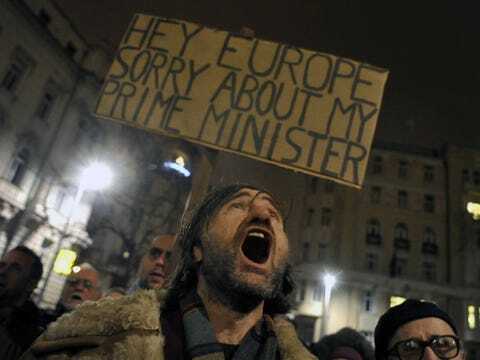 Unlike in the past though, instead of sentencing our prime minister to death, Hungarians have only started protesting. Almost five years after the current political party - Fidesz - gained power. Why, I'm not sure, but I do know that this ridiculous system is clearly not working, and it is within people's rights to make a change!